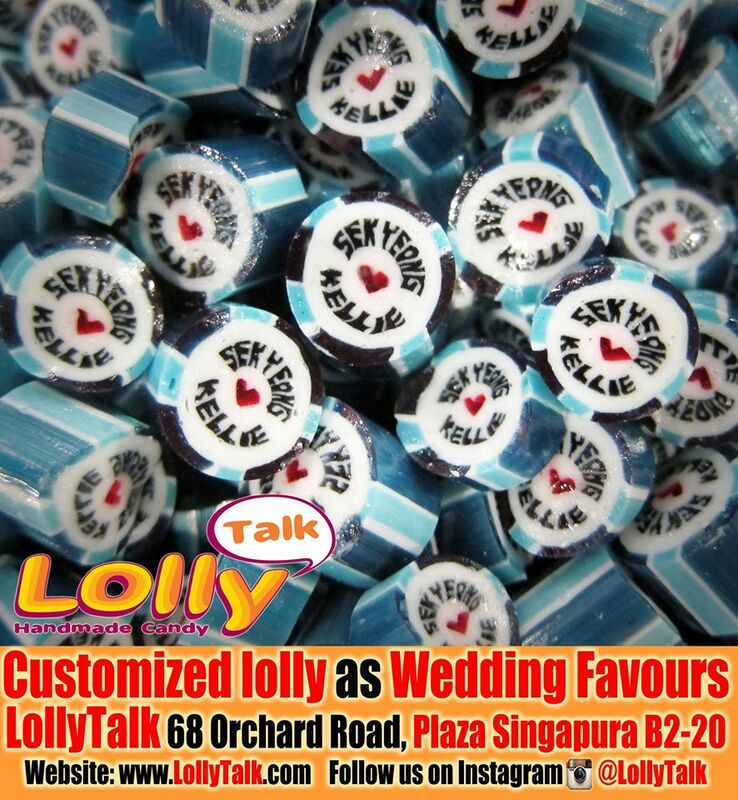 LollyTalk’s customized lollies as Wedding favours. We provide lolly personalization for special occasions such as wedding, birthday, baby showers, as well as various corporate events, seminars, road show and various company functions. LollyTalk also offers have a wide range of readily made lollies with gifting messages you can just buy off the shelf or creatively mix into your personalized lolly to create a mixture with interesting colour combination and a feast with different flavours…. You have to really experience a LollyTalk to know why so many people have chosen LollyTalk as their wedding favours over other choices. Ideal door gifts for various corporate events, roadshow give ways, wedding favours, baby shower door gifts and birthday parties! Do visit LollyTalk flagship retail outlet, located conveniently at the heart of Singapore’s prime shopping district, 68 Orchard Road, Plaza Singapura B2-20, come and immerse yourself in the complete lolly shopping experience everyone is talking about. Posted in Customized CandyTagged favors, lollies, LollyTalk, wedding, wedding candyBookmark the permalink. Wedding lollies as Wedding Favors for an Indian Couples…. by LollyTalk.